With so many dope joints, that are legitimately all of the same caliber, it’s difficult to narrow it down to a few to discuss. Every track here is worthy of being mentioned. I will focus on just a few of my favorites. Unfukwitable and 7th Inning Stretch are a couple of the album’s longest cuts, but they are by no means to be considered monotonous. They epitomize what a posse cut is supposed to be. They both feature a grip of dope emcees and the beats are sure to snap spines. The former (Unfukwitable) features production from Never So Deep’s Sutter Kain. This man’s style of production is right up my alley. He does incredible things with rock samples and makes remarkable hip hop music. On the lyrical tip, it also features another personal favorite of mine, M-Dot. His spittery (real word) is second to none. 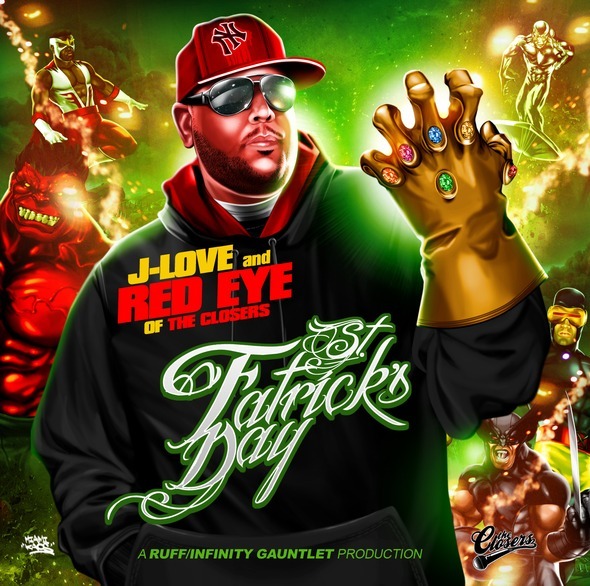 But Red Eye, on a mixtape that features many indie heavyweights, always holds his own with quick wit and sharp wordplay. Ummm…yes, that’s all pretty unfuckwitable. Every verse, beat, and guest spot is solid. Truly one of the best mixtapes to drop in the last couple of years. The quotables, punchlines, and dope flows are in endless supplies. This is a project that will fly by as you are listening to it because it is so enjoyable. You just let this joint play from start to finish then appreciate what you just listened to. This my friends is a MUST HAVE.